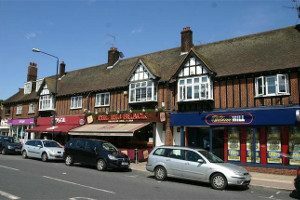 Petts Wood’s development started in the main in the early 1900’s – by a master builder by the name of Noel Rees – it started with the train station with the development spanning out from there. To the East the homes are less densely built and to the West of the train line the homes are more densely populated. Lanes have been providing driving lessons in Petts Wood, BR5 for many years. Please call us today on 020 8166 5678 or click here to send us an email via the contact page. Lanes have a team of driving instructors in Petts Wood, BR5. Please call us today on 020 8166 5678 or click here to send us an email via the contact page. It is often the case that learning to drive can be a scary proposition. We sympathise when women students tell us they prefer not to have a male driving instructor. For this reason Lanes allows students to choose female driving instructors. Our female driving instructors are especially patient and understanding. They will not rush their students or judge too harshly. Our female students often feel the pressure is off when they are paired with a female instructor. Lanes have a selection of female driving instructors in Petts Wood, BR5. Please call us today on 020 8166 5678 or click here to send us an email via the contact page. Lanes have a selection of automatic driving instructors in Petts Wood, BR5. Please call us today on 020 8166 5678 or click here to send us an email via the contact page.